This one is an absolutely beautiful Blood Red shade from "Diane of London" . 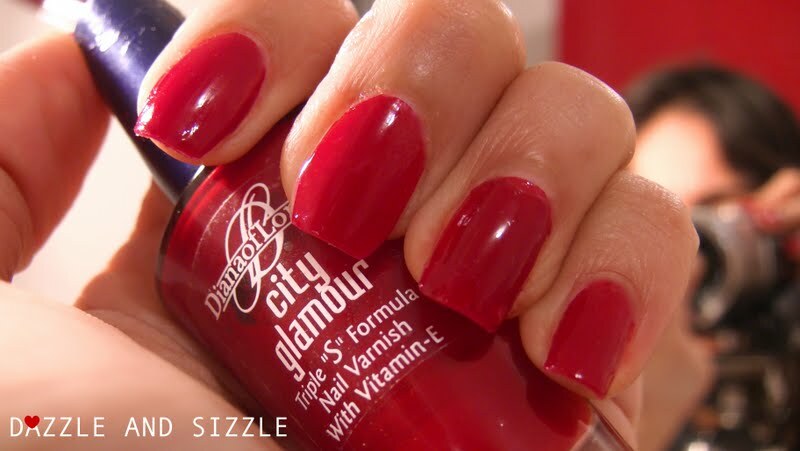 It's from there City Glamor range of products in Red Matador. I think it's a must have shade in anyones nail paint collection.It has a good consistency , applies with ease ,has an opaque finish and a reasonable long lasting effect. glamourous hands~~ keep them maintained always like they are now. wot asensuous color. <3 <3 <3 .. ..not every hand can carry off that shade ! .. .. inspired me to go fr regular manicures ! \m/ .. =D .. .. .